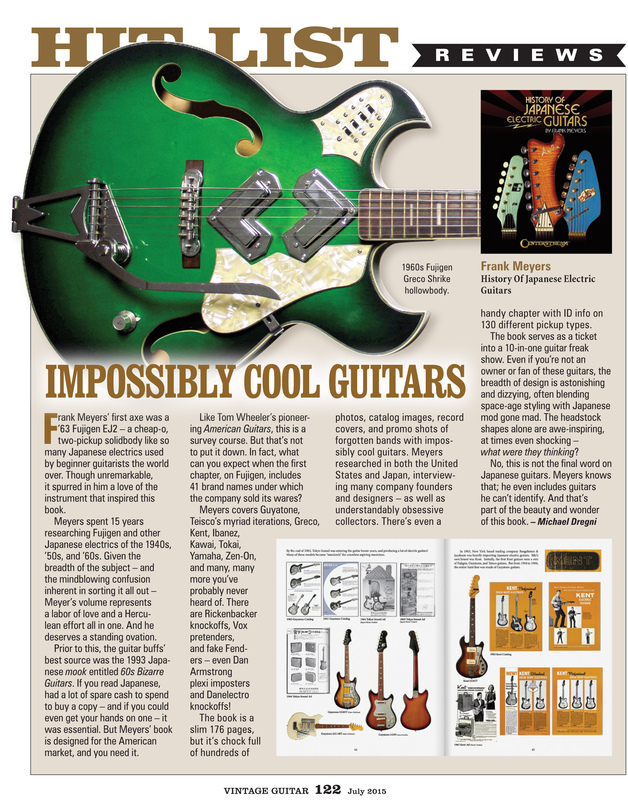 History of Japanese Electric Guitars Book – Drowning in Guitars! My book is now out and ready for your reading consumption! I’m going to always have a few copies here if you want to buy an autographed copy. If you want to buy an autographed copy from me using Paypal, just click on the book cover below! Right now I’m shipping to the USA only. My good friend Nate DeMont of DeMont Guitars has copies and he’ll ship internationally. You can also order direct from my publisher Centerstream. Amazon.com always books in stock…. Even Amazon Japan has my book!